As the speedboat neared Nakanoshima Island, I was first greeted with the sight of a large wooden pavilion, and was at once struck with its unusual make and design. Since I moved to Japan I have only seen concrete building with pitched roofs, many with traditional Japan tiling. This pavilion was entirely made of a rich amber wood, likely from the trees on the island. Perched on the edge of the sea, amidst the lush forests behind it, the pavilion seemed to both embody and defy nature. 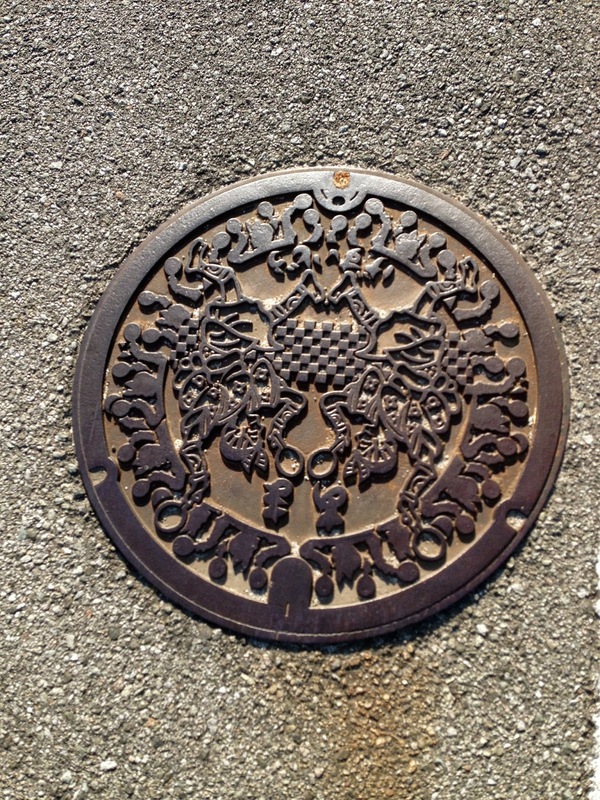 Ama-cho encompasses the entire island of Nakanoshima, and two other uninhabited islands, Omorijima and Matsushima. The total population is 2,400 people, and at the time of this post there are five non-Japanese residents on the island. My Mexican-American host is one of them. My host was waiting for me at the pier as planned. He rode his bike down the hill to meet me, expecting to be able to carry my luggage back on his back. Instead, I decided to leave my luggage inside the pavilion, and meet him again at the port after the Welcome BBQ. The BBQ began just 30 minutes after I arrived at 6:00 pm. It was a feast of local seafood, such as squid, fish, and clams. Everything was family style. Each large wooden table was assigned a grill, and food was served on paper plates that were passed around from guest to guest. I enjoyed the communal atmosphere. It helped eased tension as I was the only foreigner at the event. Of course, everyone wanted to know where I was from, but I was equally curious about them. Of the people who sat at my table, one was from Asahikawa, one from Tokyo, two from Kumamoto, one from Nara, and another from Himeji. No one was from Shimane prefecture. They had all traveled much further than I to participate in the three-day walk. 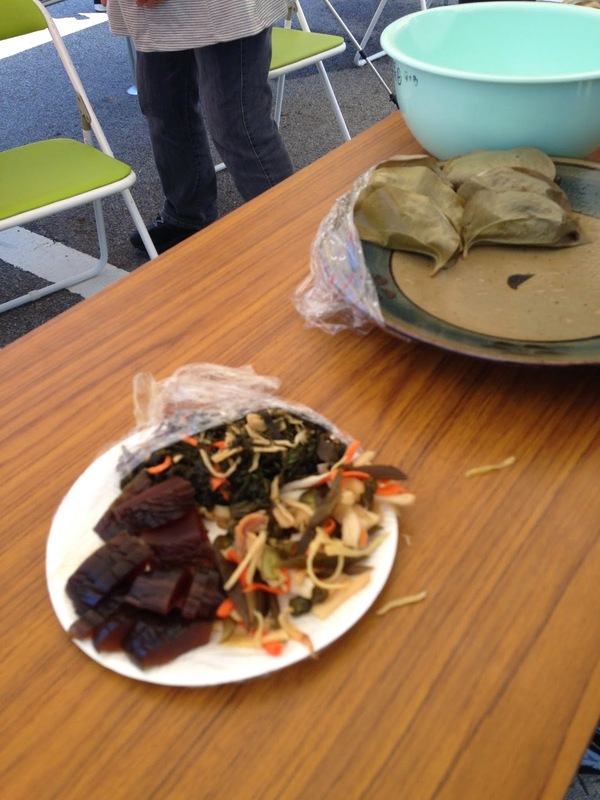 In addition to a delicious seafood BBQ, the party was all-you-can-drink sake and beer. At first, one bottle of cold sake was placed on the table for the kick-off toast. I drank it greedily thinking there would be no more. But after that bottle was emptied, a new one appeared, then another new one, and another. Suddenly men started falling out of their chair with drunkenness and everyone was laughing. I almost went under the table myself. Not the best idea to get so drunk the night before a 23 K hike. Towards the end of the evening we were treated to a show of the local dance, Kinya Monya. It is a traditional dance involving two wooden spoons that are used in both the music and the dance to set the rhythm. 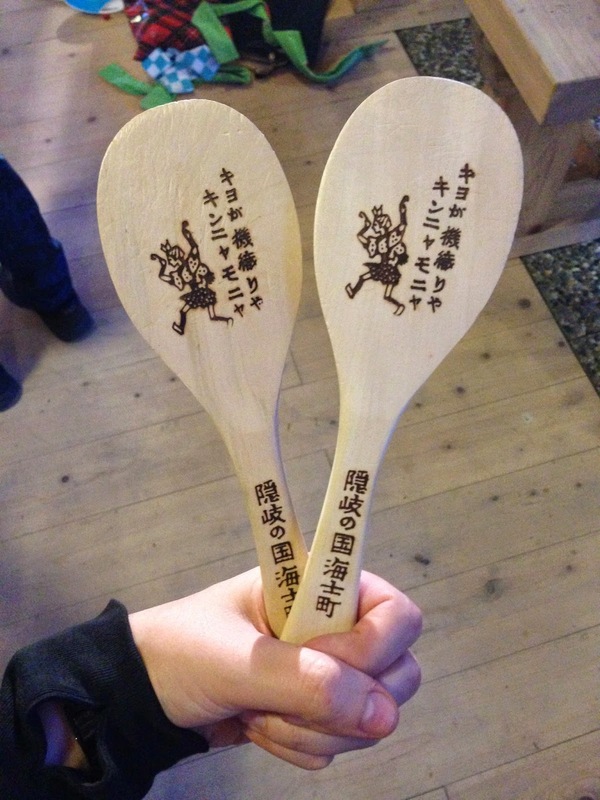 After observing the dance, spectators were each given two wooden spoons to try it out themselves. I am sure that being slightly drunk facilitated this, though it did nothing to improve my sense of rhythm. After two hours of drinking and partying, I met my host at the pier and he escorted me back to his house by way of an evening walk. It was after dark and the sound of bullfrogs could be heard singing in the rice paddies. It was a forty minute stroll uphill on foot, but I was eager to walk-off my sake buzz, and we had no other options besides a taxi at that point. 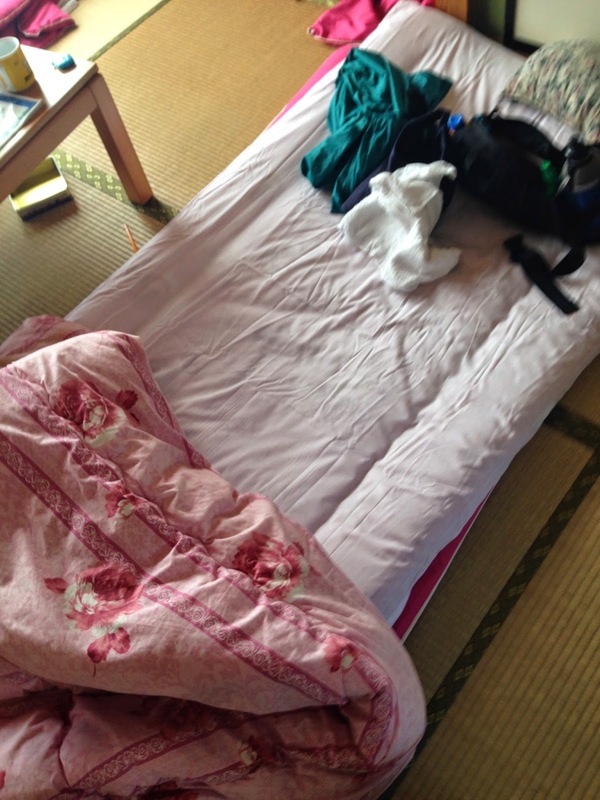 Soon we arrived at his charming home, situated between two quiet rice paddies. In true traditional Mexican fashion, my host insisted that I sleep in the master bedroom, and be treated to homemade Horchata before bedtime at 10:30 pm. That next morning I awoke naturally at 6:45 am to get ready for my first day on the trail. I needed to be at the port by 8:00 to sign in, so in the interest of time, my host lead me to a bus stop just outside his house. The bus stop was marked with a giant wooden spoon, the same one we had used to dance that previous evening. The bus arrived promptly at 7:34 am and I was at the port by 7:45. 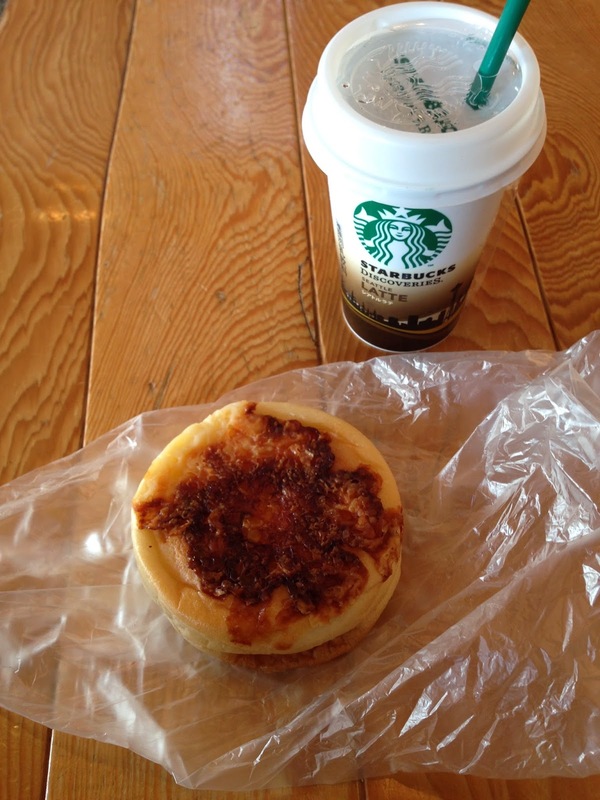 Once at the port I signed in for the day’s hike and ate a very non-traditional breakfast of bread and a Starbucks latte. 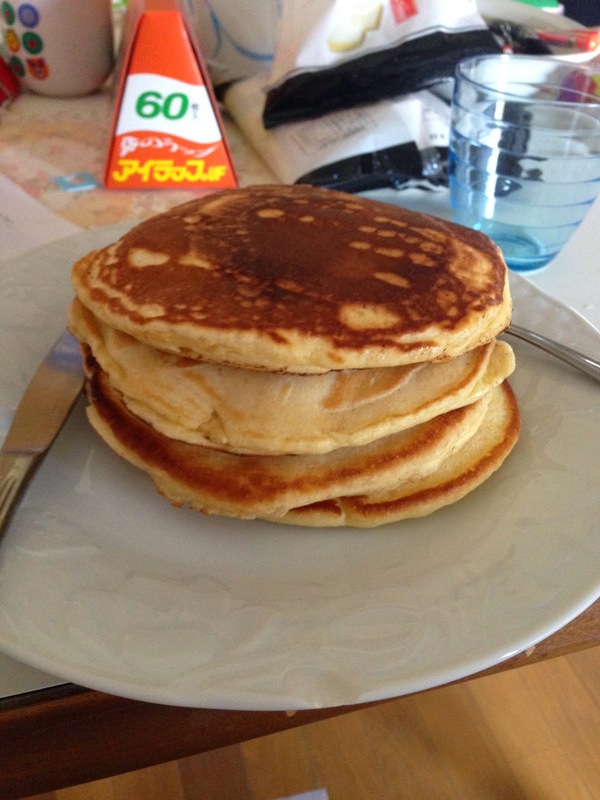 Less than 24 hours on Oki and I was already missing the comforts of the mainland. The walk began at 8:45 am after warm-up stretches. We were lead on a paved road into a think bamboo forest slightly uphill from the port. At first, we all followed behind each other in a line, but as time went by groups and individuals broke the pace and the line lengthened until it was no longer a line, but intermittent groups of people walking the same path. There were two obstacles along the path. One came in the form of hairy caterpillars, of which there were thousands crawling along the streets. Countless squashed caterpillar bodies lined the roads, as one would have to tiptoe carefully to avoid crushing them. At first I swerved to avoid them, but once I tired of caring, so I accidentally stepped on dozens along the way. The next obstacle consisted of truly gigantic bees that hovered in the air around flowers and sometimes dive-bombed into my head as I walked. They didn’t seem interesting in stinging me, but they came frightfully close to my face a number of times and I had to constantly swat them away. The trail wove through the bamboo forest and back into town, where we walked along the main roads and past a school. 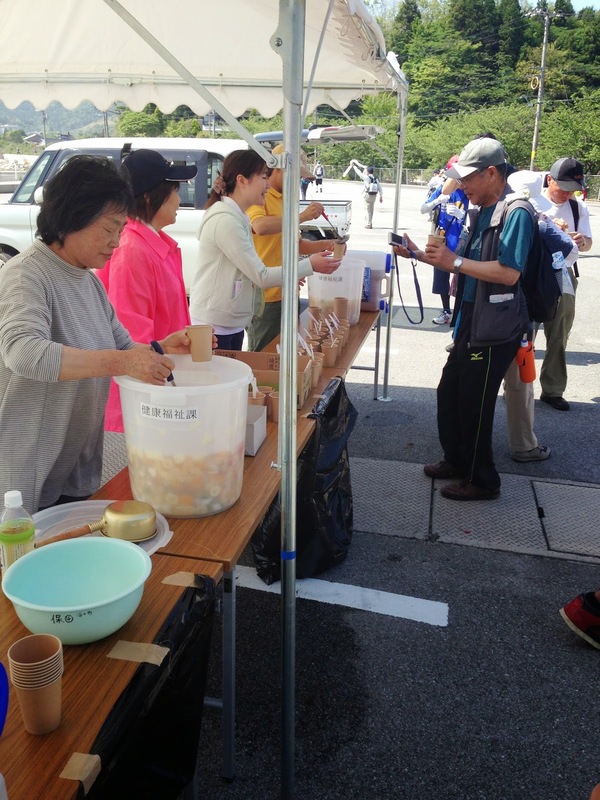 Every 2.5 kilometers a booth was set up offering tea, water, and snacks to walkers. 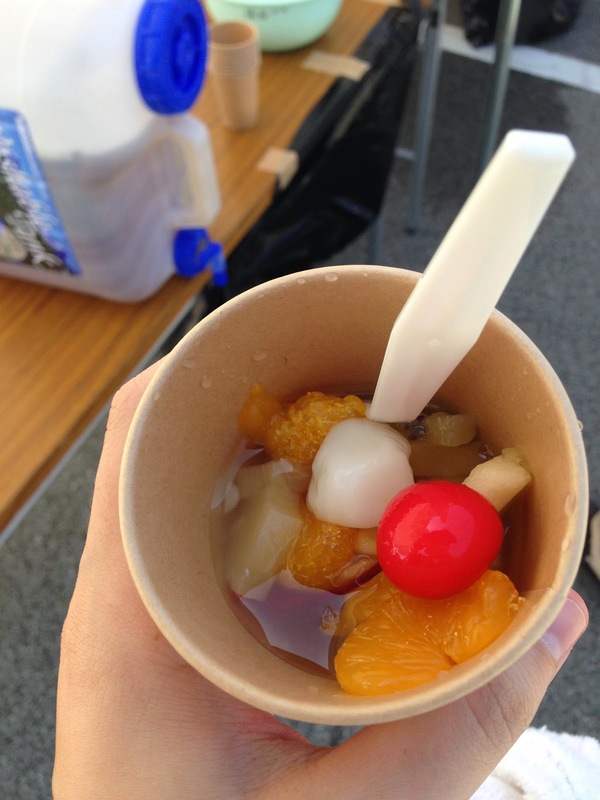 The first booth served a delicious fruit mix. 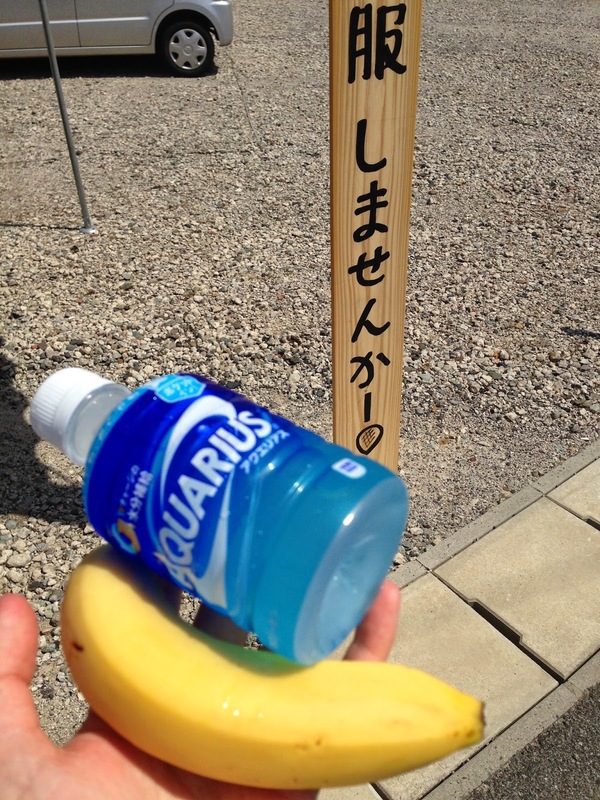 I reached the second one thirty minutes later and was given a banana and Aquarius. The checkpoint was located in the Shinto Shrine of Exiled Emperor Go-Toba, who died in 1239 on this island. Some of the walkers stopped to pray, and other to take pictures. 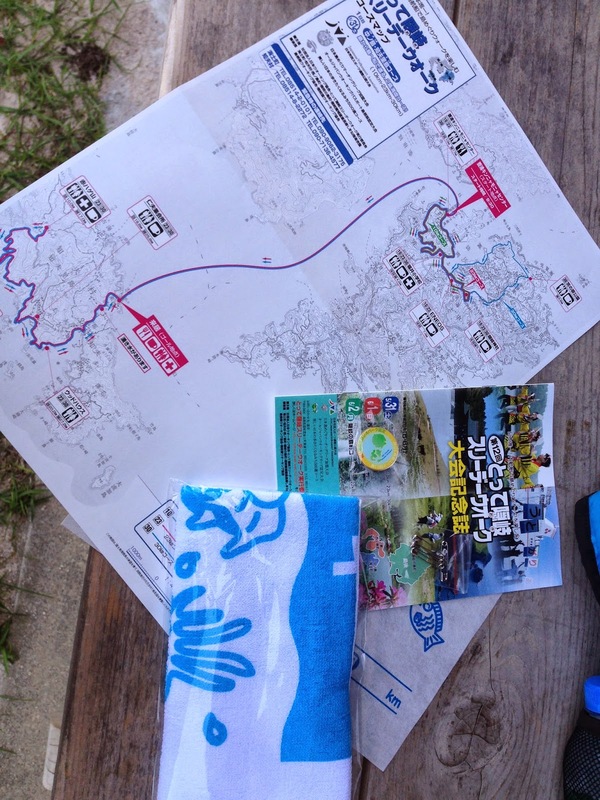 Although the route was quite residential and not as scenic as I would have preferred, I was relieved that there were so many bathrooms after every few kilometers. The 10 K course led back to the port. I did the 10K in two hours and arrived at 10:45T. here I was given a traditional bento for lunch, but I decided to save it for later and instead catch the 11:00 ferry to Chiburijiuma, where I would complete the next 13 K.